- and you don't repost it without any change from you. 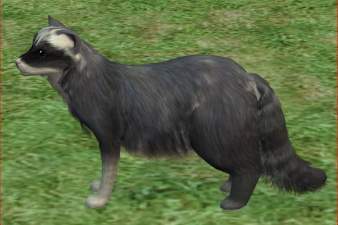 I'm very understanding because what I wish to create is often improvements of existing CC objects, even if it's just to translate it in french ... And also, I'd like to know about your creations inspired by mine, if you can : I'm quite curious ! What kind of creator am I ? Invisible tiles to get in/out of the swimming pool without ladder nor diving board. And large dogs can swim ! 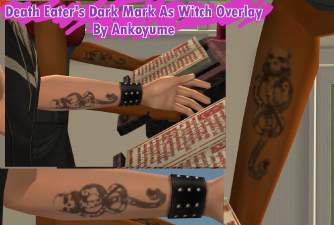 A default replacement for Evil Witches skin : the green color will disappear and the Death Eaters' Dark Mark from Harry Potter books will appear on the left arm.